It's definately TIME to create Christmas cards-- I'm determined to actually send some out this year, so have been playing around with different stamps and ideas whenever I get a chance! 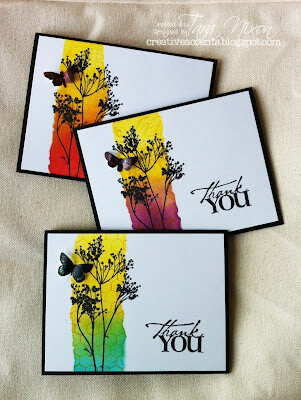 Here's a couple I've created this week. 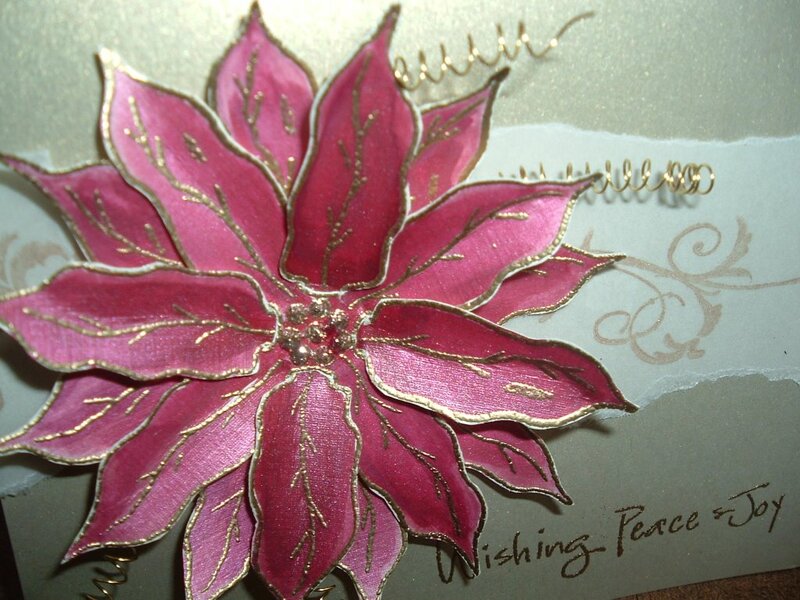 The poinsettia is by Artful Stamper and is one that is designed to be layered. I made a sample and, well... now I'm in love with it, so there is one less on the shelf :) I gold embossed it three times on ivory cardstock and painted it up with a couple shades of Twinkling H20's. 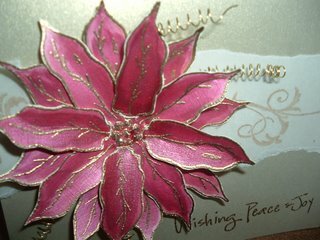 My glitter glue is still drying, so I wasn't able to scan it, but I think the photo shows it off pretty good anyways! 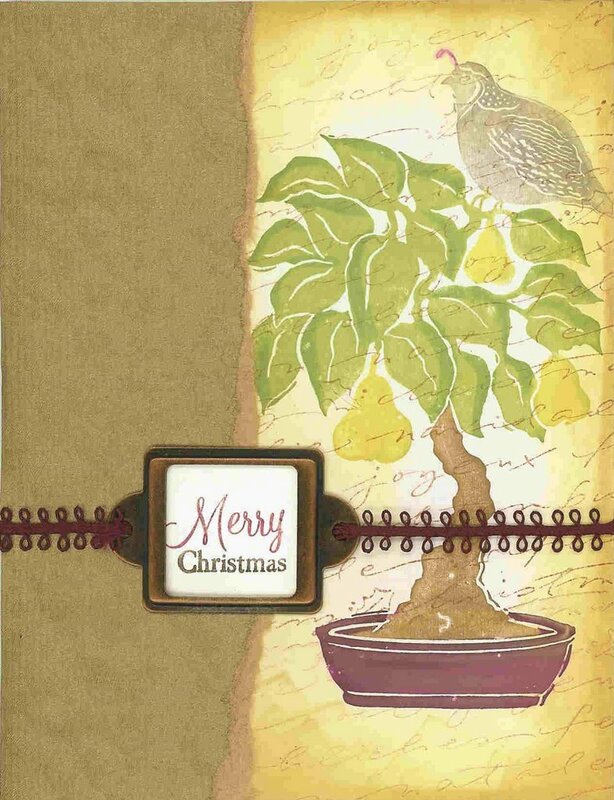 I look forward to seeing some of YOUR Christmas cards this year in our Christmas Card Contest! There is still lots of time to enter, cards are due Dec. 9. If I haven't already posted full details, I'll do that in the next couple of days.